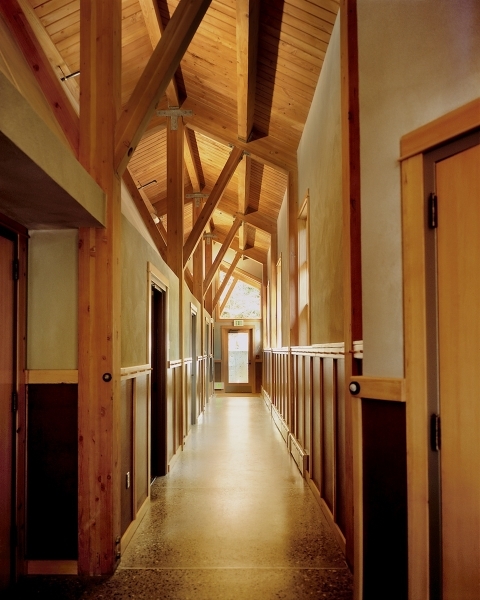 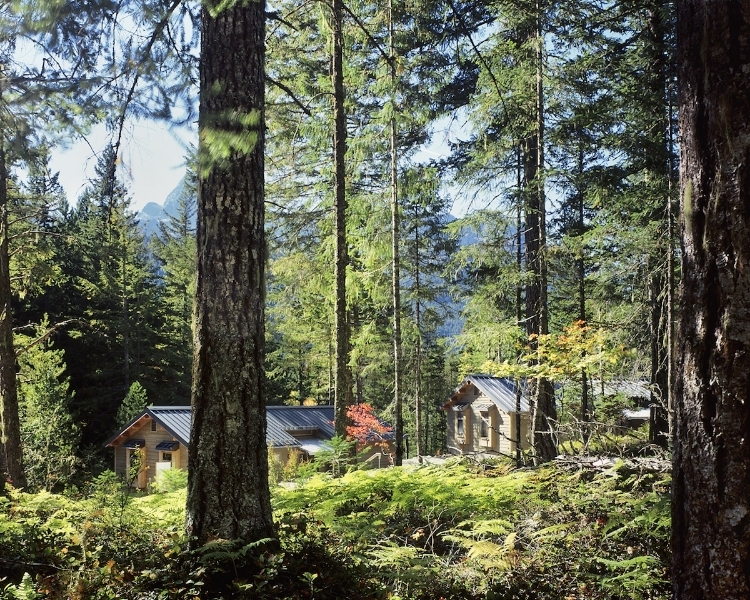 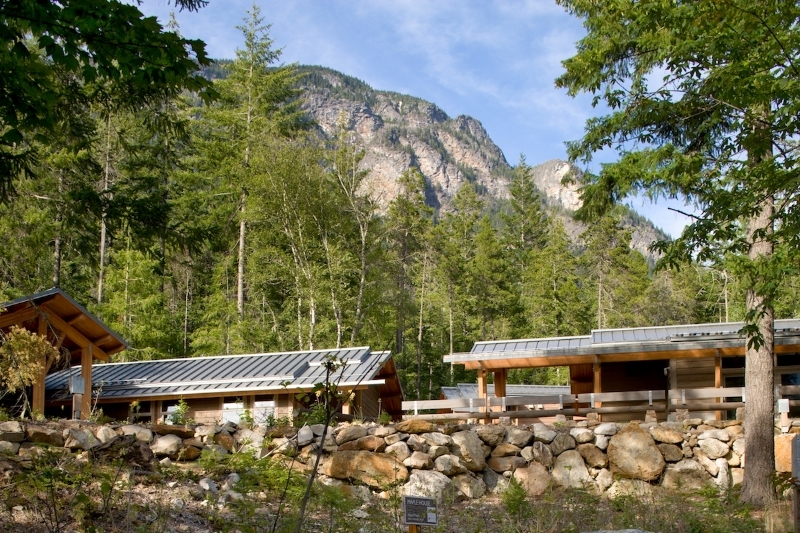 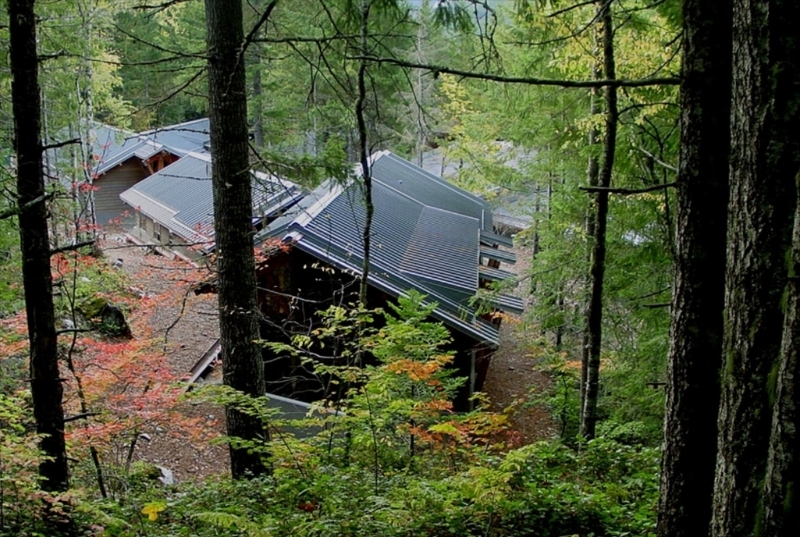 The North Cascades Environmental Learning Center was designed to demonstrate stewardship toward our natural resources. 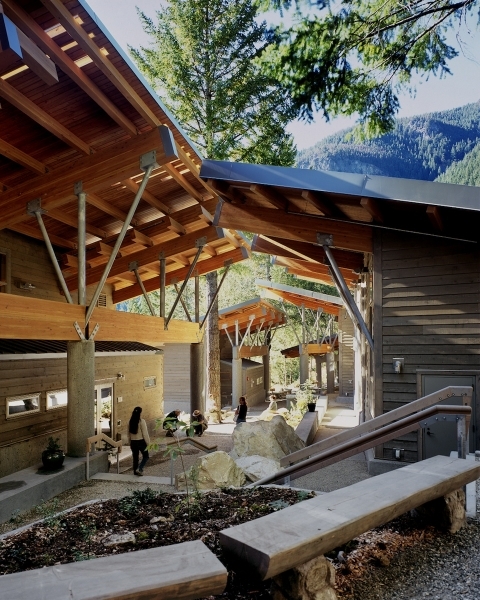 Using the old growth forests, canyons and creeks of the North Cascades as a metaphor, the Learning Center provides a sheltering cluster of buildings, columns, beams, struts and canopies made from lumber, concrete, steel and glass. 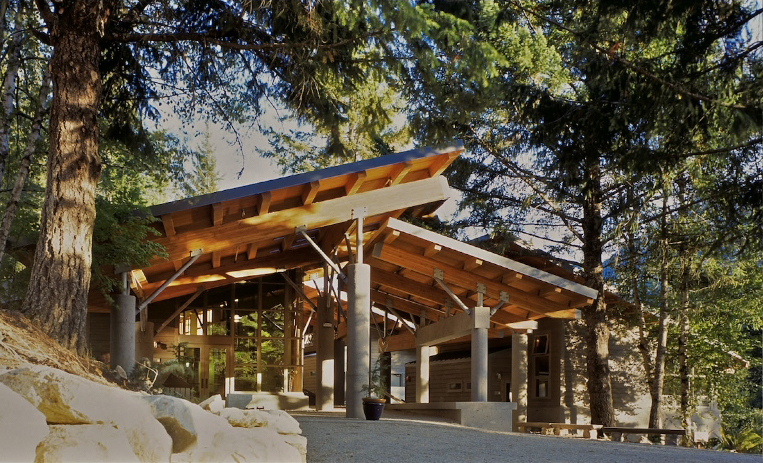 The 38,000-SF campus includes the following: multimedia classrooms, laboratories, a library, dining hall, overnight accommodations for ninety two in three lodges, staff housing, outdoor shelters and trails. 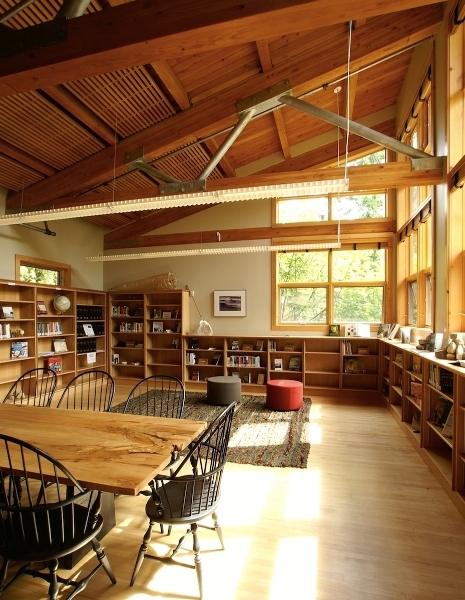 Designed for teaching, exploration, research and volunteer service, the Learning Center offers unique opportunities for understanding our region’s natural and cultural history. 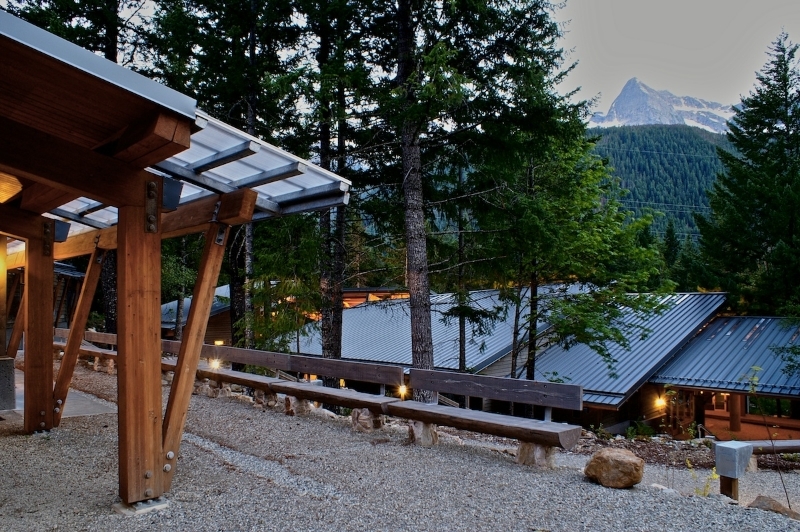 The project represents a partnership between the City of Seattle, North Cascades National Parks and North Cascades Institute. 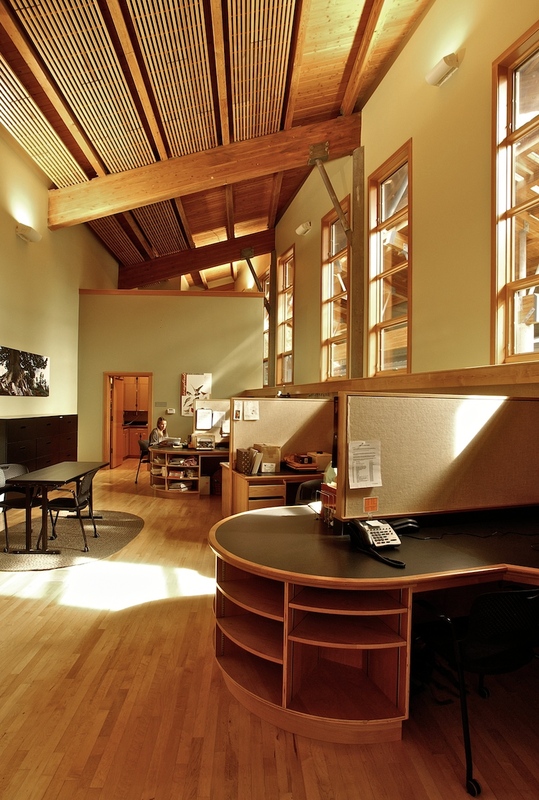 The project achieved LEED® Silver certification.